Collins Booksellers - A History of New Zealand Literature by Mark Williams, 9781316545201. Buy this book online. A History of New Zealand Literature traces the genealogy of New Zealand literature from its first imaginings by Europeans in the eighteenth century. 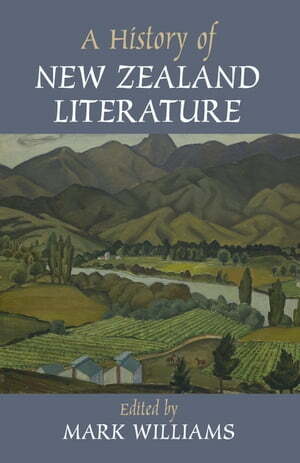 Beginning with a comprehensive introduction that charts the growth of, and challenges to, a nationalist literary tradition, the essays in this History illuminate the cultural and political intricacies of New Zealand literature, surveying the multilayered verse, fiction and drama of such diverse writers as Katherine Mansfield, Allen Curnow, Frank Sargeson, Janet Frame, Keri Hulme, Witi Ihimaera and Patricia Grace. Written by a host of leading scholars, this History devotes special attention to the lasting significance of colonialism, biculturalism and multiculturalism in New Zealand literature. A History of New Zealand Literature is of pivotal importance to the development of New Zealand writing and will serve as an invaluable reference for specialists and students alike.